15-40 Connection - The 15-40 Connection is changing this by empowering individuals with knowledge that will save and improve lives through early cancer detection. Atty. John J. Spillane - For almost fifty years, Spillane & Spillane has served its clients regionally in central and eastern Massachusetts, including Cape Cod, Nantucket and Martha’s Vineyard. Our two regional offices consist of four attorneys, two paralegals and support staff, who provide professional services to individuals, families and small businesses in twelve practice areas. We also have an extensive Commonwealth of Massachusetts government relations practice serving our business clients. Atty. Laura Silver Traiger - Laura Silver Traiger is an associate at the law firm of Ciota, Starr & Vander Linden. Ms. Traiger concentrates on the legal issues facing older and disabled clients, including estate and long-term care planning, as well as guardianship and estate administration. Donald Maloney, Jr., CPA - For decades, we have provided quality audit, accounting, tax and advisory services to a wide variety of business clients for many years. Our staff of professionals each have strong career concentrations in many industries and areas of expertise. We offer you this extensive experience together with the attention and focus of a local firm. We are large enough to meet your needs, yet small enough to provide responsive, personal service. Our firm is fully licensed to practice by the Commonwealth of Massachusetts and all our professionals are members of the American Institute of Certified Public Accountants and the Massachusetts Society of Certified Public Accountants. Financial Industry Regulatory Authority, Inc. - The FINRA regulates brokers. Their site allows you to view the status of any brokers' license, the States where they're appointed, and whether any "disclosure events" are pending. Financial Planning Association - The Financial Planning Association (FPA) is the membership organization for the financial planning community. 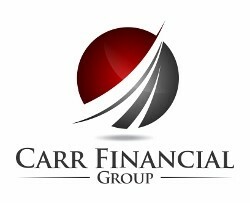 Its members are dedicated to supporting the financial planning process in order to help people achieve their goals and dreams. FPA believes that everyone needs objective advice to make smart financial decisions and that when seeking the advice of a financial planner, the planner should be a CFP® professional. Jack Woods, CPCU, Thomas Woods Insurance Agency, Inc. - Jack Woods in an expert in property and casualty insurance and has appeared as a guest on WTAG 580am's Your Financial Freedom. Looking for a quote on your Massachusetts auto insurance or for your home or small business, Jack is ready to help you with qualified advice and competitive coverage options. Kevin Holloway at Massachusetts Mortgage - My guest on WTAG's Your Financial Freedom, Kevin Holloway, President of Massachusetts Mortgage, can help you with all of your mortgage and home equity line needs. Looking for something? Google it! National Assoc of Insurance & Financial Advisors - The mission of the National Association of Insurance and Financial Advisors is to advocate for a positive legislative and regulatory environment, enhance business and professional skills, and promote the ethical conduct of our members. PanMass Challenge - The mission of the Pan-Massachusetts Challenge is to raise money for life-saving cancer research and treatment at Dana-Farber Cancer Institute through its Jimmy Fund. The catalyst for the fundraising effort is a bike-a-thon that crosses the Commonwealth of Massachusetts. In 2007, I am riding from Sturbridge to Provincetown. Please use this link to learn more or to make a donation. Worcester Junior Sharks Youth Hockey - The Worcester Junior Sharks program is structured to allow each player to develop and test their skills at three distinct levels of competition (House, Travel and AAA Elite). This ensures that each player has an opportunity to play and compete at an appropriate level with an opportunity to grow within the organization.